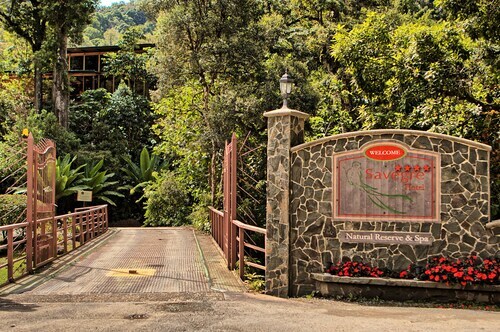 Situated on the riverwalk, this spa hotel is 2.4 mi (3.8 km) from Rio Savegre Waterfall and 12.7 mi (20.4 km) from Cerro de La Muerte Peak. 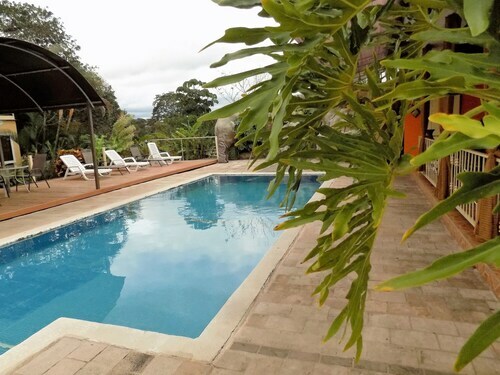 Situated in San Isidro de El General, this hotel is within 12 mi (20 km) of Alexander Skutch Bird Sanctuary, Canaan Cheeses, and Samaritan Chocolate. The Secret Gardens and Chirripo National Park are also within 16 mi (25 km). 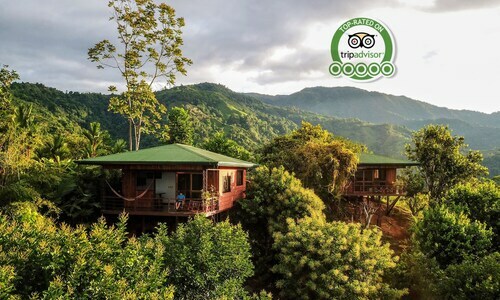 Located in a national park, this family-friendly resort is 1 mi (1.6 km) from Rio Savegre Waterfall and 9.3 mi (14.9 km) from Cerro de La Muerte Peak. Situated in Cachi, this hotel is 4.2 mi (6.7 km) from Ruins of Ujarras and within 12 mi (20 km) of Lankester Botanical Garden and Our Lady of the Angels Basilica. Tapanti National Park is 11.5 mi (18.5 km) away. This family-friendly hotel is in the center of San Isidro de El General, within 12 mi (20 km) of Alexander Skutch Bird Sanctuary, The Secret Gardens, and Canaan Cheeses. Samaritan Chocolate is 11.5 mi (18.5 km) away. 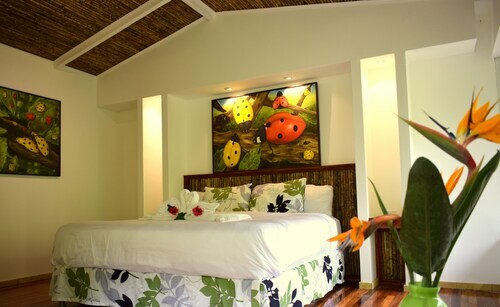 Situated in the mountains, this lodge is within 20 mi (32 km) of Mid World Tour Office, Manuel Antonio National Park, and Marina Pez Vela. 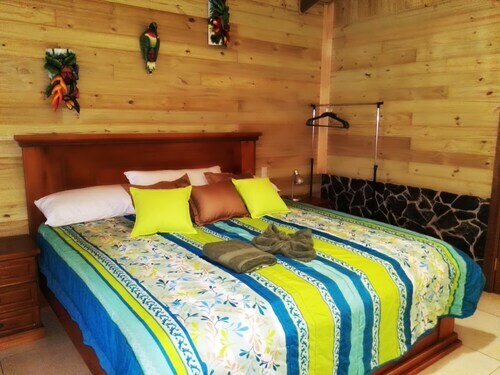 Nahomi Park and Manuel Antonio Nature Park & Wildlife Refuge are also within 20 mi (32 km). 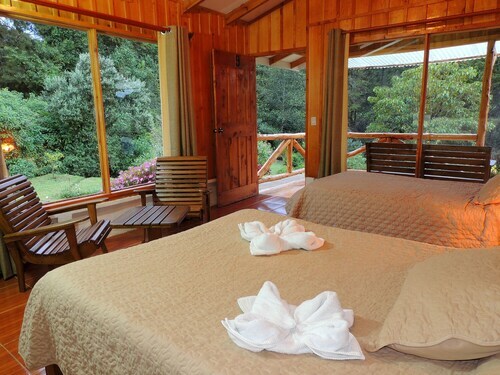 Situated in the mountains, this lodge is 2.6 mi (4.3 km) from Rio Savegre Waterfall and 12.9 mi (20.8 km) from Cerro de La Muerte Peak. 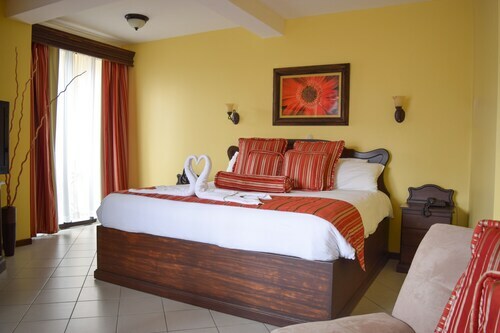 Situated on the riverwalk, this hotel is 6 mi (9.7 km) from Ruins of Ujarras and 11.1 mi (17.9 km) from Lankester Botanical Garden. Our Lady of the Angels Basilica and Tapanti National Park are also within 16 mi (25 km). Situated in Daniel Flores, this hotel is 6.6 mi (10.6 km) from Alexander Skutch Bird Sanctuary and within 16 mi (25 km) of Canaan Cheeses and Samaritan Chocolate. The Secret Gardens and Chirripo National Park are also within 16 mi (25 km). 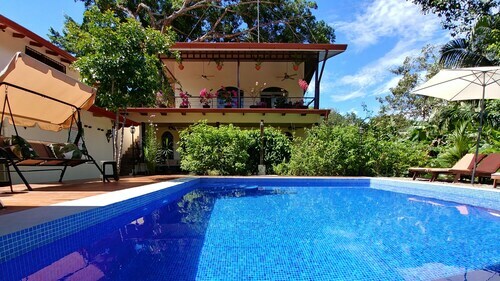 Situated by the ocean, this bed & breakfast is 14.6 mi (23.5 km) from Alturas Wildlife Sanctuary and within 25 mi (40 km) of Manuel Antonio National Park and Marina Pez Vela. Marino Ballena National Park and Rainmaker are also within 32 mi (52 km). 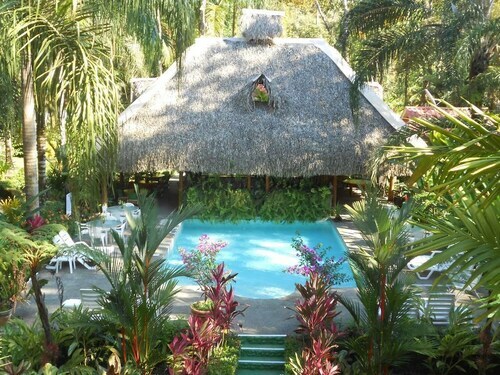 Situated in the mountains, this hotel is 1.9 mi (3.1 km) from Nauyaca Waterfalls and within 12 mi (20 km) of Alturas Wildlife Sanctuary and Matapalo Beach. Marino Ballena National Park and Uvita Beach are also within 20 mi (32 km). 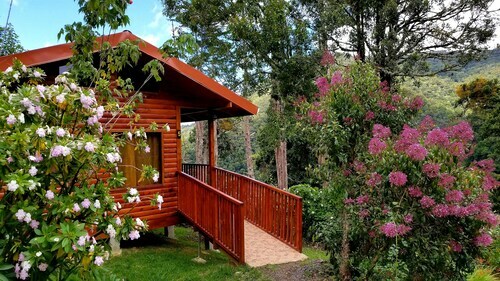 Situated in San Gerardo de Dota, this cabin is 0.2 mi (0.4 km) from Rio Savegre Waterfall and 10.1 mi (16.2 km) from Cerro de La Muerte Peak. You can find 3 star hotels in San Gerardo de Dota that keep you close to all the great sightseeing and activities around the area, or even book a place that’s a bit more secluded, if that’s what you prefer. No matter what you’re looking for—whether you’re all about the location or are invested in on-site perks--Travelocity will help you find the accommodation that works best for you. When it comes to options, you’ll have them. The San Gerardo de Dota 3 star hotels give you plenty of choices as far as access to the best areas, and many also offer a breakfast buffet, as well as plenty of other amenities like high-speed Wi-Fi and an on-site pool or spa. Whatever you’re looking for on your next getaway, browse Travelocity’s big selection of hotels to ensure you get the best possible deal. 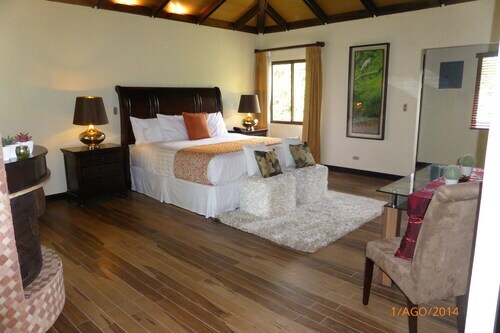 Book one of the best 3 star hotels in San Gerardo de Dota today! The hotel was within walking distance to bus station and the air conditioning worked well! We booked same day, did not called for confirmation because the systems indicates it is not necessary. My wife and I arrived late that night... the hotel was closed!!! Nobody was there to open the gates, no one answered the phone until next day in the morning and they said hotel closes after 8:00pm. I can not tell anything about the hotel but service it is just terrible! Only stayed one night but wish we could have stayed longer. Very comfortable clean room for a very reasonable price. Staff were very friendly and helpful. They helped me with a problem I had with a rental car by calling the car rental company and providing the directions for them to bring a replacement car. The food here was excellent at reasonable prices. The view is spectacular. We saw lots of neat birds while sitting right in the dining room porch. Great bird watching location. Swallow tailed kites are in view almost constantly. 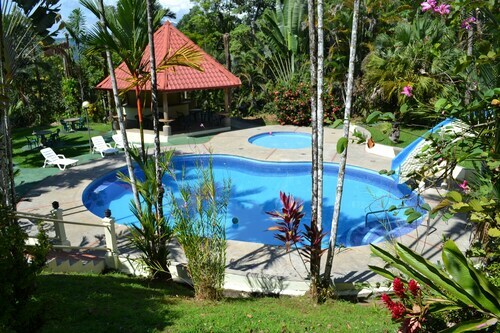 if you truly want an adventure vacation in costa rica this is the place to go. it is in the rain forest and very pristine. minimal travelers, but this hotel has it all. 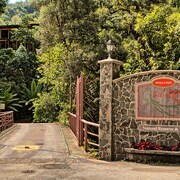 Spa is great, horseback riding at your front door. Plants, water falls, great food (most of it grown on the premises include the trout) breakfast is included in your stay and service is wonderful. This is want costa rica is all about. getting there will be your only concern. It's about two to three hours from the airport but well worth the journey. Very nice eco-resort in a great natural setting. The owner is also very knowledgeable of the area and recommended a great smorkeling/whale watching excursion near Drake Bay.